This souvenir postcard folder front cover shows a lighthouse an the left side. An inset, in the bottom right corner, shows the buildings of the waterfront district. Several docks and warehouses are built out over the water. In the distance, there is a bridge. 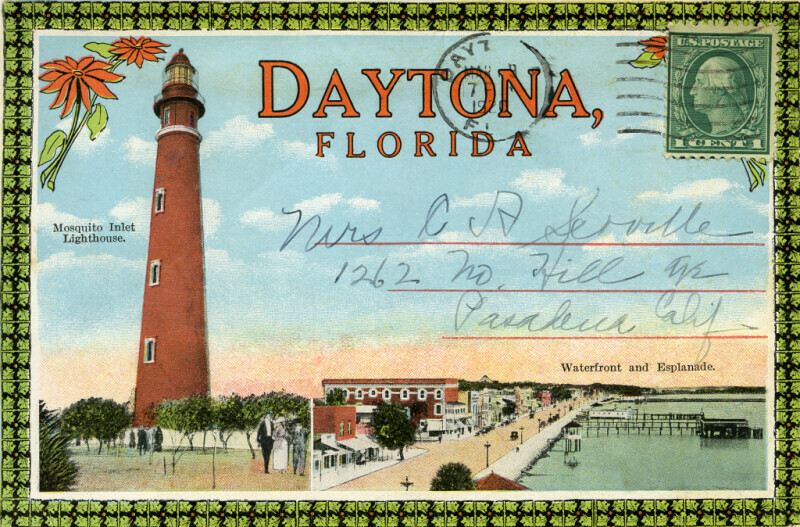 From a souvenir postcard folder of Daytona, Florida.